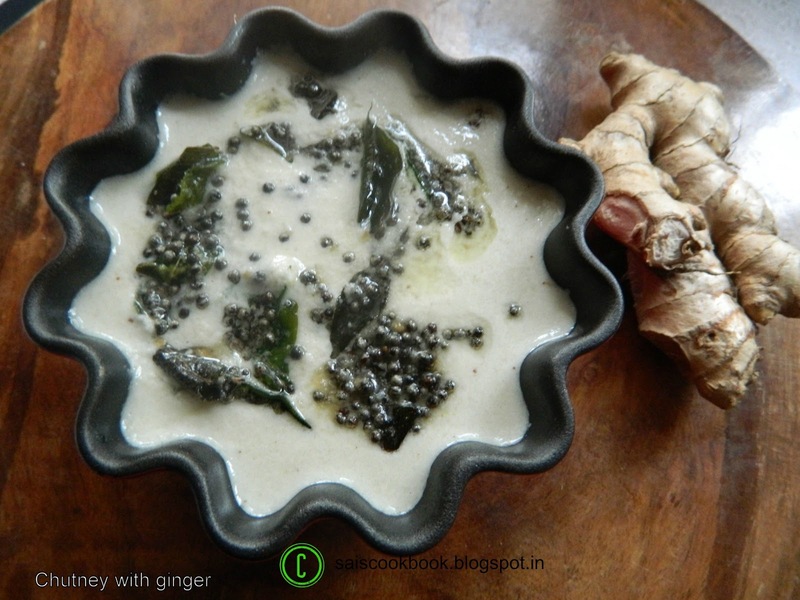 Few days back I had posted Chutney with coriander leaves,this is one more version with ginger flavour.This can be served with dosa,buns,idli etc.I adapted this recipe from my Amma.Please note down the recipe. Grind all the ingredients mentioned under ingredients to be ground to a smooth paste. Add water,salt and adjust the chutney to medium thin consistency. To season, heat oil,splutter mustard seeds,add curry leaves and hing. Season it to the chutney and close the lid immediately once you season for the extra aroma and flavour. 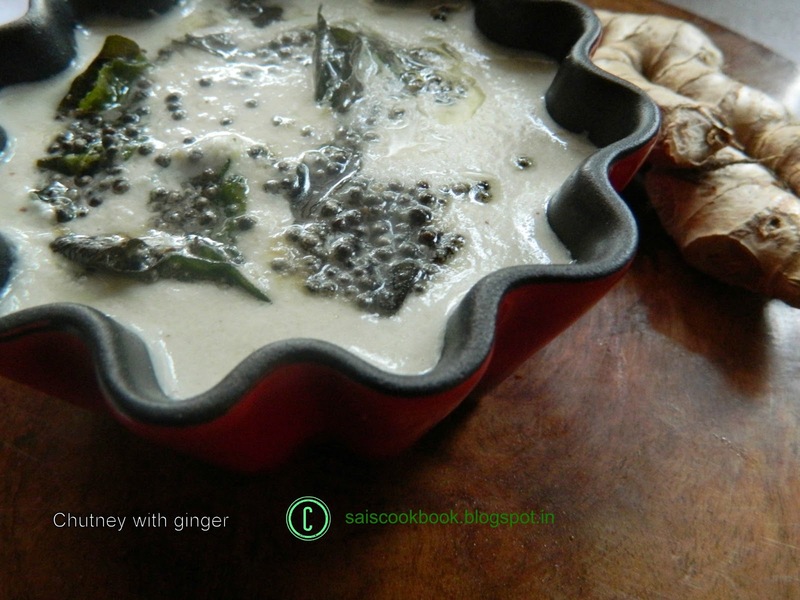 Serve it with dosa or idli.